The Khalili Collection contains probably the largest collection of Islamic lacquer in the world and includes bookbindings, pen boxes, caskets and mirror cases, as well as spectacle cases, fans and a backgammon board. Part One follows the history of Islamic lacquer from the late 15th century onwards, from Istanbul to India, while Part Two concentrates on the period with which most Islamic lacquer is associated - Iran in the Qajar period (1779-1924). 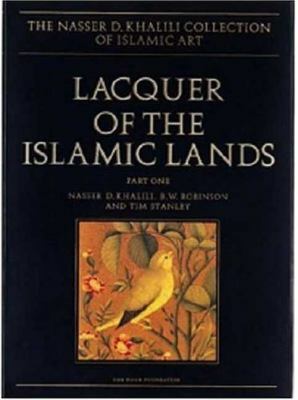 The detailed descriptions are accompanied by several color views of each object and are supplemented by an appendix containing magnified reproductions of all the signatures.Khalili, Nasser D. is the author of 'Lacquer of the Islamic Lands ' with ISBN 9781874780625 and ISBN 1874780625.